No composer has written as much as 100 bars of worthwhile music since 1925. Peace on earth and mercy mild! Great music is that which penetrates the ear with facility and quits the memory with difficulty. Magical music never leaves the memory. Good music is that which penetrates the ear with facility and quits the memory with difficulty. Too much counterpoint; what is worse, Protestant counterpoint. I found it as alluring as a wayward woman and determined to tame it. The grand tune is the only thing in music that the great public really understands. The trouble with women in an orchestra is that if they are attractive it will upset my players and if they're not it will upset me. Why do we have to have all these third-rate foreign conductors around—when we have so many second-rate ones of our own? What can you do with it? It's like a lot of yaks jumping about. 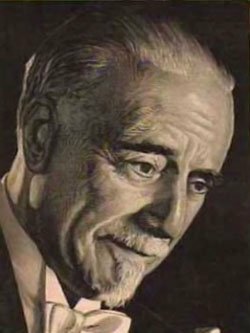 Bio: Sir Thomas Beecham, 2nd Baronet was an English conductor and impresario best known for his association with the London Philharmonic and the Royal Philharmonic orchestras.